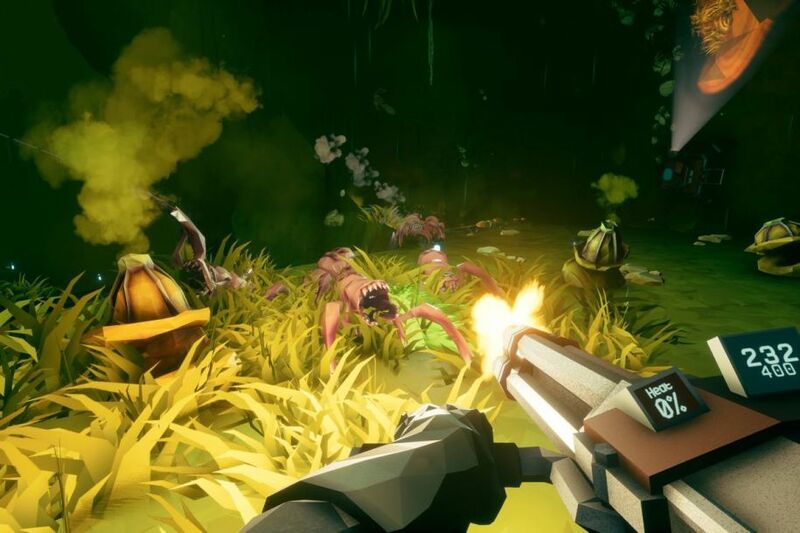 When Deep Rock Galactic first debuted back in February of 2018, it totally caught me off guard. Although I thought the title of the game was catchy, the graphics looked really bogus as far as I was concerned. They had a blocky, bulky aesthetic that made the characters, monsters, and various environments contained within it come off as cartoonish and perhaps aimed towards tweens and younger crowds. A little later, after watching some gameplay videos and reading the overwhelmingly positive reviews that sprang up around the title, I decided to give it a whirl just to see what all of the fuss was about. All I can say is that I’m glad I did. 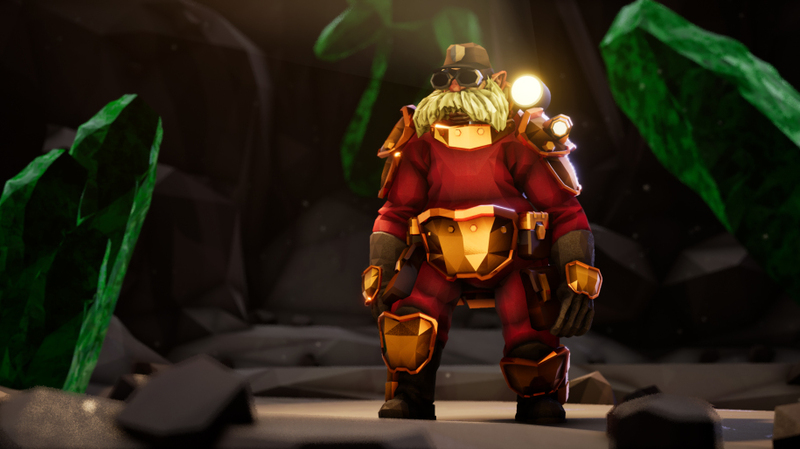 Deep Rock Galactic puts you into the well-worn boots of dwarven miners somewhere in the far future. You can choose from one of four classes which all have their own individual strengths and weaknesses. Some of these classes really complement each other during gameplay, such as the Gunner being able to fire his zipline gun at elevated positions, while the Engineer can shoot giant platforms to stand upon once you travel up those handy ziplines. 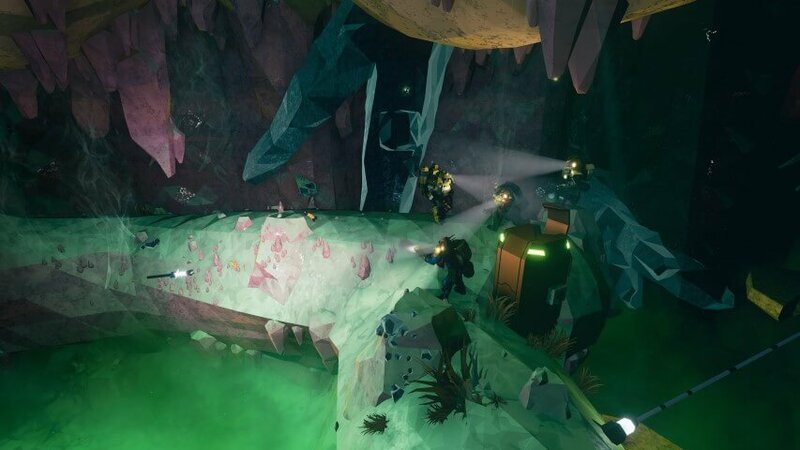 The whole premise of Deep Rock Galactic is that your batch of stubby miners work for some sort of large mining company, and they can take dangerous mining jobs of varying difficulty based on different types of planets. Some of these planets planets are cold, arctic affairs with stalactites and stalagmites that can harm you. Others are gaseous, poisonous worlds where you might touch deadly spores which releases noxious clouds that can quickly envelop you. Usually, the more dangerous the planet, the larger the amount of “shiny things” (i.e. valuable ore) that are available on them to dig up. 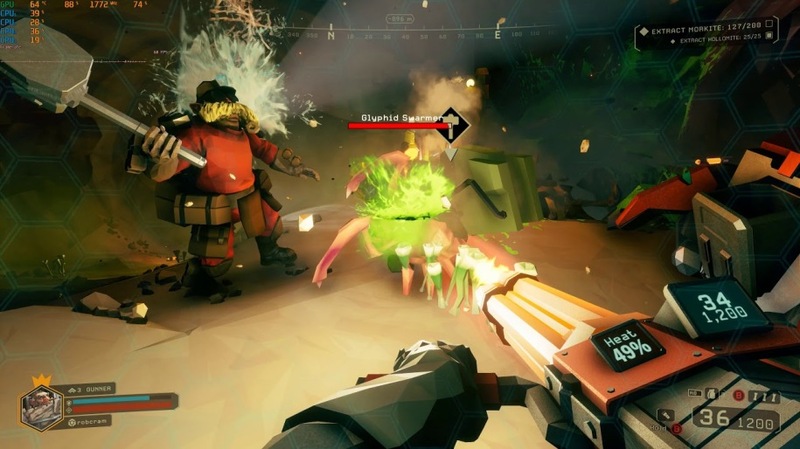 The pacing of Deep Rock Galactic is excellent. The majority of your time spent down upon on one of these dangerous worlds will be spent looking for specific veins of ore that you are tasked with finding. Once you locate said ore, you pull out your drills and commence to drilling. When you fill your drill bags up with ore and they become full, you can then call over your trusty, robotic mule and dump all your valuables into it. All of this ore collecting is interspersed with lots of chaos. That’s because at certain intervals your scouts will suddenly announce that they’ve detected a large swarm of hostile aliens that are heading in your direction. When that happens, you have to drop whatever you’re doing and set yourselves up for the battle ahead. That said, it’s never easy. These alien swarms can include all manner of dangerous creatures—from little, ankle-biting critters that sort of resemble the Tyranids of the Warhammer: 40,000 universe; to gigantic, lumbering space beetles that can munch you to shreds. They’ll even throw huge, flying mosquito monsters at you that make fighting from an elevated position irrelevant. Sometimes these swarms are large, while other times they are absolutely gigantic. The latter ones will make you feel as though you’re playing through one of the Starship Troopers novels or films because you’ll have to fight off wave after wave of these horrific beasts. Luckily, if you gather up enough of a certain ore you can call in resupply drops. These drops can feel as if they’re falling down from heaven. During some particularly harrowing games, I’ve personally been on my last bit of ammo (or have totally run out) and have barely managed to call in a drop just in the nick of time. One of the most recent additions to the Deep Rock Galactic is called Update 19: Guns! Lots of Guns! and brings with it a whole new slew of weapons to play with. Actually, each of the four classes gets two shiny new guns added to their arsenals. For example, my favorite class, the Engineer, gets the “Stubby Voltaic SMG,” which is rapid-firing prototype SMG which fires electric bullets. 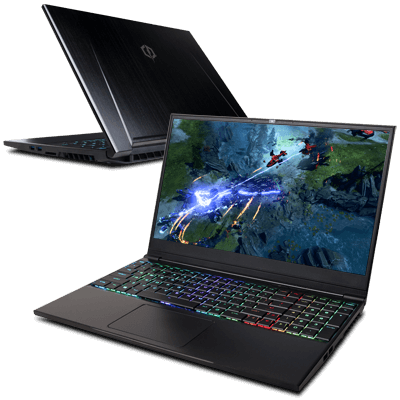 Engineers also get the Breach Cutter, a weapon that “releases directional blasts of sonically-charged plasma powerful enough to deal with most any alien in your path.” Sounds pretty nifty, huh? All of these new weapons really add a lot more diversity to the game and changes things up for the better. 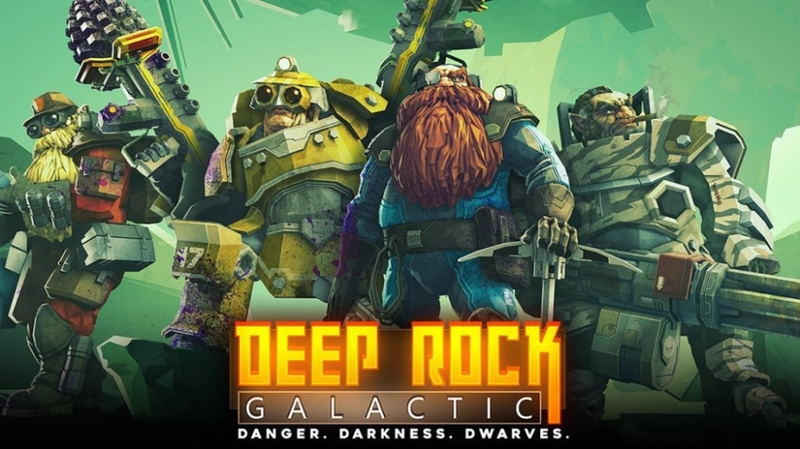 If you’re looking for a Left 4 Dead or Vermintide-type of experience, Deep Rock Galactic is a great take on the genre. It’s also highly polished already for an Early Access title and is only getting better with time.